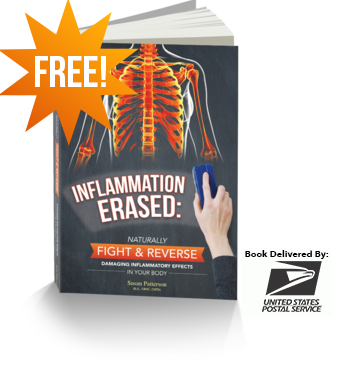 What if I told you there was a so-called “miracle supplement” that could lower inflammation, fight the effects of stress and pain, raise immunity, and increase energy levels? Would you be interested? Then you need to know about the MSM supplement. What is MSM (methylsulfonylmethane)? 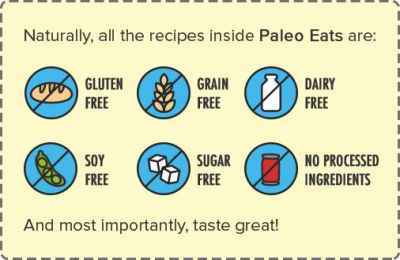 It’s an organic sulfur-containing compound that’s used to improve immune function, lower inflammation and help restore healthy bodily tissue. The reason so many benefits are attributed to the MSM supplement is because MSM provides biologically active sulfur, which is the fourth most plentiful mineral in the body and needed for many different critical bodily functions every single day. While it hasn’t been proven in many studies, people also use MSM to hold on to a youthful appearance, since it seems to help prevent wrinkles, scar formation, dark spots and sun damage. How’s this possible? MSM is necessary for collagen production, and collagen is what helps keep skin from become saggy, wrinkled, cracked and dry. 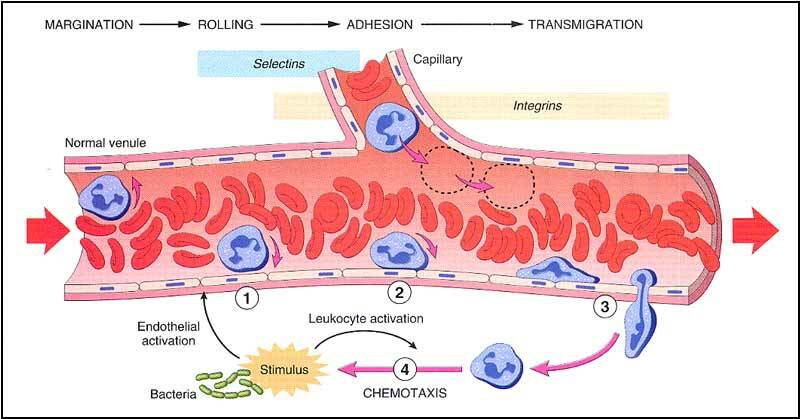 Three uses that MSM has gained the most notoriety for include: acting like an anti-atherosclerotic (preventing the hardening/thickening of arteries), chemo-preventative compound and natural anti-inflammatory. MSM seems to help the body’s natural free radical-scavenging abilities, which means it lowers oxidative stress as well as the many ailments that come along with it. 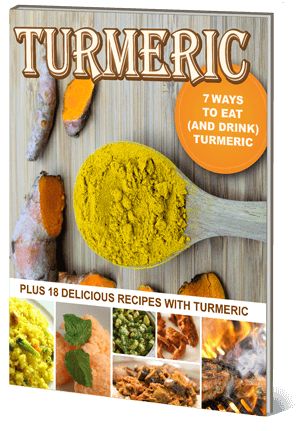 (12) It’s an effective anti-inflammatory because it blocks the release of pro-inflammatory mediators and downregulates certain harmful signals sent from the immune system that can affect the entire body. While many different “whole foods” supply sulfur — foods like cruciferous vegetables(broccoli, cabbage, Brussels sprouts, etc. ), eggs and sea vegetables — the catch is that some of their natural sulfur can become destroyed when the foods aren’t very fresh, they’re processed or are cooked at high temperatures. One of the differences between sulfur as we usually think of it (DMSO) and MSM is that MSM is odorless and tasteless (which is why you’re spared the strong smell that can be produced when eggs or veggies are cooked). Using MSM supplements is tied to better immune function, accelerated healing and reduced pain because it helps counteract certain byproducts (like lactic acid) that contribute to the feeling of soreness, stiffness and inflexibility. 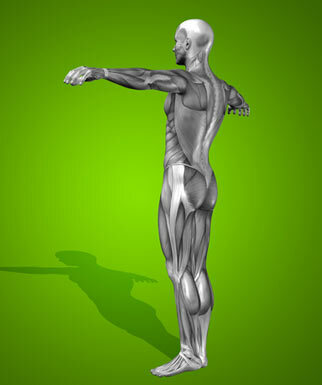 This is one reason why some athletes and very active people choose to use an MSM supplement to improve recovery time, performance, and the process of rebuilding new healthy muscle and joint issue. (14) Also importantly, MSM’s sulfur plays an important role in the production of glutathione, considered to be a “master antioxidant” and an important agent for detoxification. MSM seems to be well-tolerated since it’s completely natural and already found in the human body. There haven’t been many reported side effects of MSM, although to date there also haven’t been many large, well-controlled human studies looking at its long-term effects. That being said, MSM is capable of causing mild side effects for some people, including indigestion, upset stomach or diarrhea. It’s also not suitable for people taking blood-thinner medications, and if you’re pregnant you’ll want to speak with a doctor before taking it regularly. MSM is called the miracle supplement because it’s been shown to lower inflammation, fight the effects of stress and pain, raise immunity, and increase energy levels. 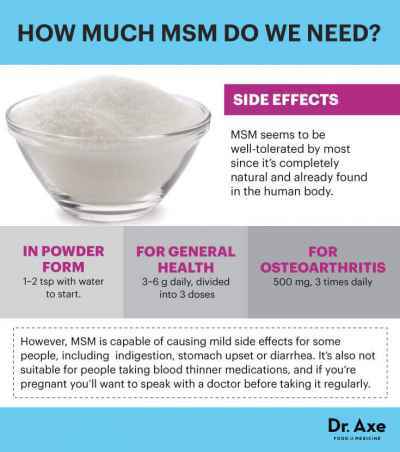 MSM provides biologically active sulfur, which is the fourth most plentiful mineral in the body and needed for many different critical bodily functions every single day. 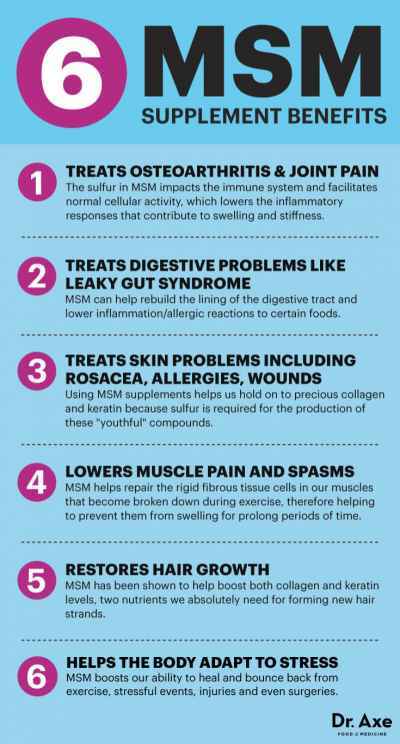 MSM supplement benefits include treating osteoarthritis and joint pain; improving digestive problems like leaky gut syndrome; repairing skins and treating skin problems like rosacea, allergies and wounds; lowering muscle pain and spasms; restoring hair growth; and helping the body adapt to stress.